Thanks to everybody who helped and thanks to everybody who joined. 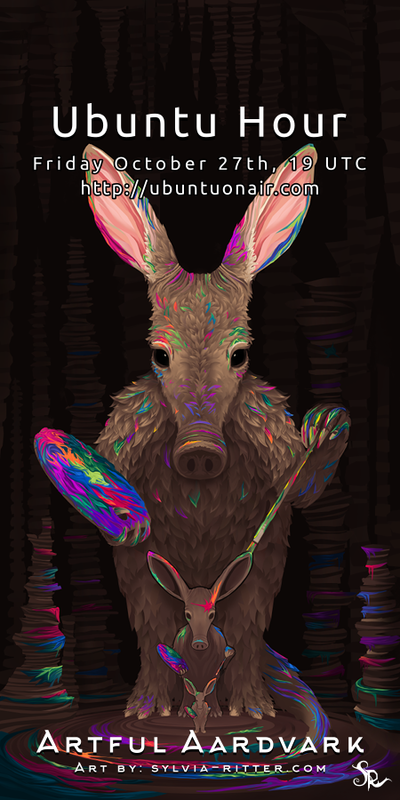 Infinite thanks to Sylvia Ritter for sharing her amazing artwork with us! We are starting to throw ideas and to experiment on possible ways to reactivate many of the activities from the past, but trying to make sure that they become sustainable and adjusted to the new shapes that the Ubuntu community is adopting. We think that the first thing we need to do is to talk more. This community hub is just that, a place to share, plan, ask and chat together. 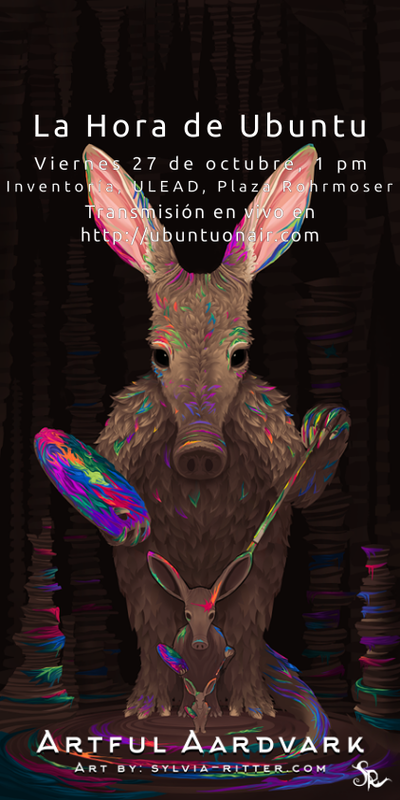 But we also need a more fluid and welcoming medium, so we will start a reinterpretation of the famous Ubuntu Hours hosted by the LoCos all over the world. The idea is very simple: pick a date and time and jump into YouTube on Air. If two or more people from the same area want to join, they can meet at a bar, café, co-working space or one of their houses, and join the video call together. We don’t have an agenda for the call, we can talk about anything Ubuntu, start planning other events to conquer the world, or just talk about life, the universe and everything. For the people meeting at the same real world location, it could be a great opportunity to make installations, report bugs, or resolve questions. The first Ubuntu Hour will be this Friday, October 27th, at 19:00 UTC. The video call will be available for watching in http://ubuntuonair.com/. If you would like to join the call but remain invisible, you can just join there and talk to us through the IRC chat. If you want to jump into the video chat, just leave a reply here and I will send you the invite like 30 minutes before we start. If you would like to host the event and welcome other people from your area to join, please also reply here. I will keep an updated index in this topic with the details of real life events hosted around the world. Help us making this a very fun, multi-language, multi-culture meeting, and to get more friends contributing to Ubuntu and free software projects. Let me start with the one I’ll organize, in Costa Rica. en/ We’ll meet in Inventoría ULEAD, Plaza Rohrmoser, San José at 1 p.m. Costa Rican time. es/ Nos vamos a reunir en la Inventoría ULEAD, Plaza Rohrmoser, San José a la 1 p.m. hora de Costa Rica. I’ll be there! It’s too late for me to actually organize an in-person meeting, but I’ll be on the hangout. What would the rest like to talk about? Sounds awesome, I’d love to join! I’m available and it’s on my calendar! Thanks everybody. We start in 30 minutes, I will set up the youtube thing now.